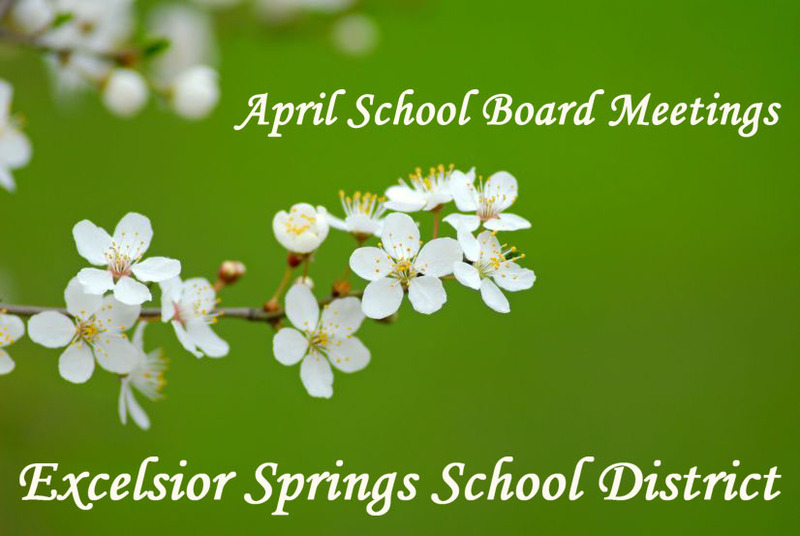 The Excelsior Springs School District’s Board of Education will met Monday, April 9, at 7 p.m. In addition to routine items on the agenda, such as paying the bills and approving summer school courses, board members have a full schedule. Newly elected board members Terry D. Krier and Troy W. Snelling will take the oath of office this evening. And the board will say farewell to incumbent Charles Harkins III, who lost his bid for re-election last Tuesday. Also this evening, board members will elect the president, vice president, secretary and treasurer who will lead them during the 2012-2013 school year. The Board of Education meeting, which is open to the public, will take place in Room 8 of the district’s Early Childhood Center; 113 Line Street; Excelsior Springs, MO 64024.